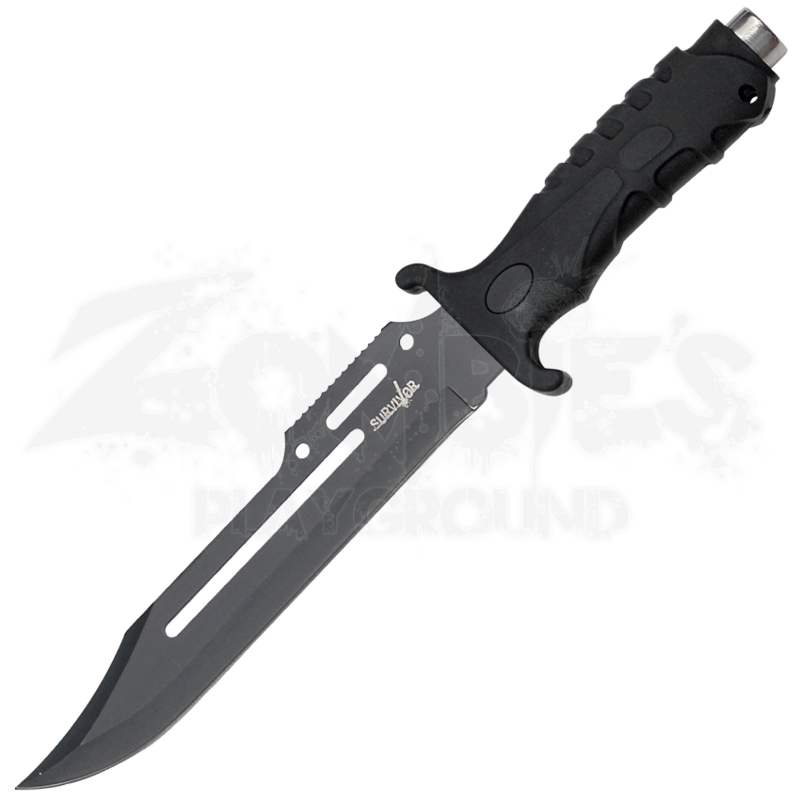 For a light weight and durable survival knife look no further than the Outdoor Survivor Knife. With its black stainless steel utility blade you can go from slicing and piercing to minor sawing in just a flip of the wrist, and the black rubber handle ensures you will not lose your grip no matter the conditions. 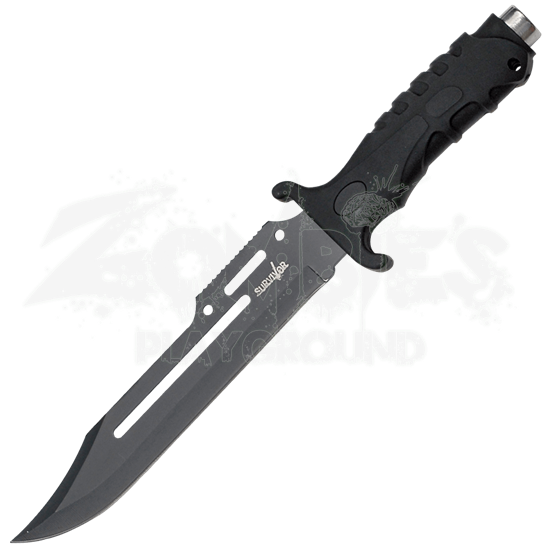 With this knife you also get a nylon sheath to insure safe carrying and easy access. Never find yourself unprepared with the Outdoor Survivor Knife.